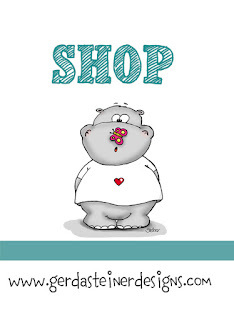 Hi everyone, it is Larissa with a another post on the Gerda Steiner designs blog. So happy to be back again today! 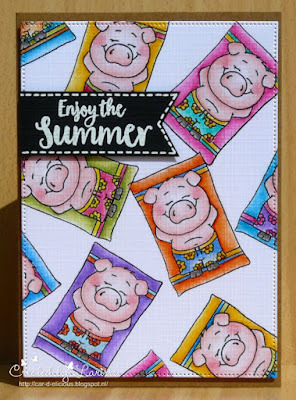 Today I am showing you another card that I made with the cute Pool piggies! 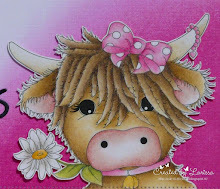 My card from today is a pretty easy one, but because of all the colouring I had to do, it took a while to finish. On a piece of white cardstock I stamped a couple of sunbathing piggies from tehe stamp set Pool piggies from Gerda Steiner designs and then I masked the piggies and stamped the bath towels. 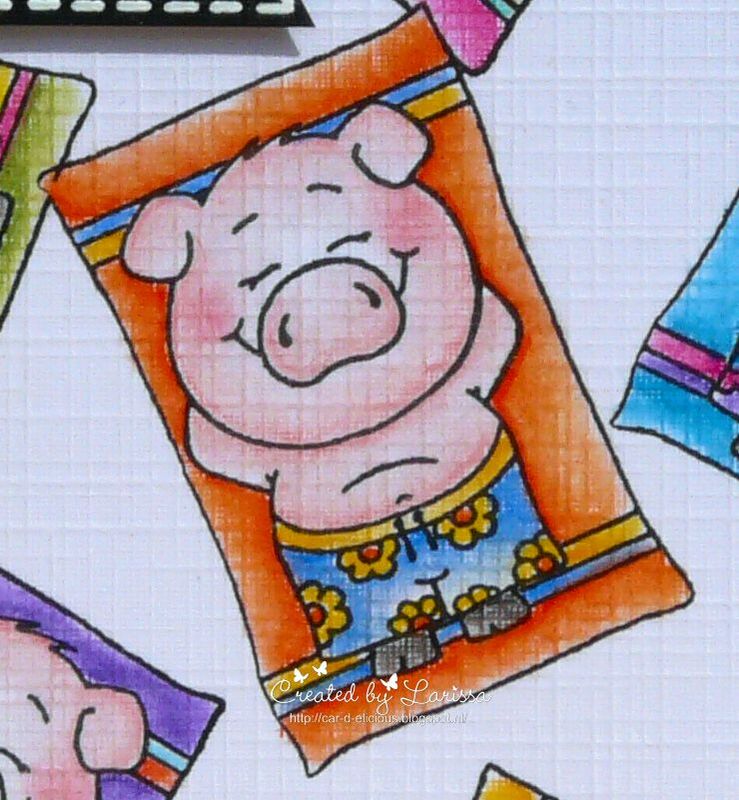 I have coloured all images with my Polychromos pencils. 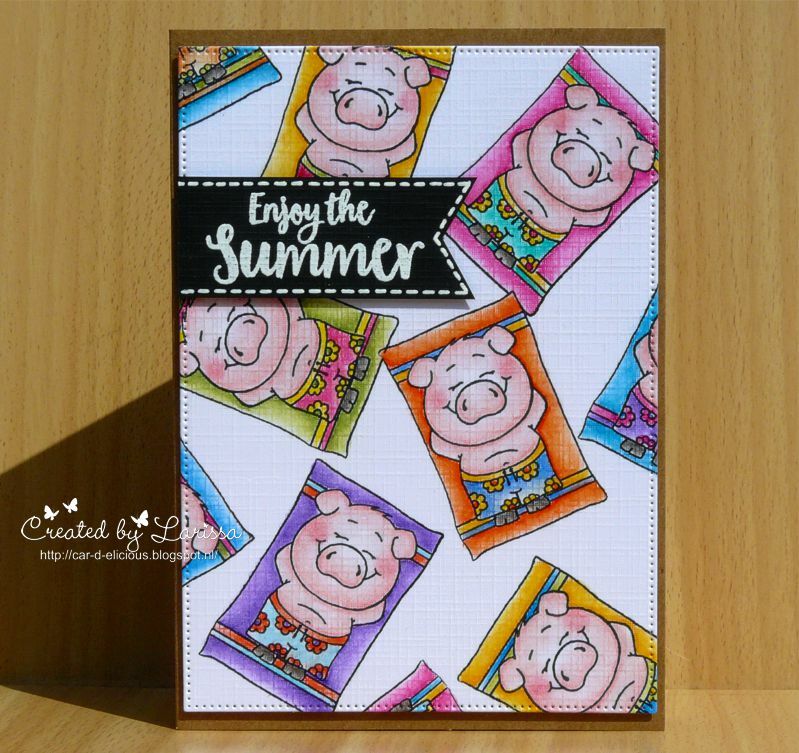 I have used many bright happy colours to give the card a nice siummer feeling. I have die-cut the cardstock with the Crea-nest-lies XXL 52 from Crealies and then I adhered the rectangle with foamtape on a kraft card. On a piece of black cardstock I stamped the sentiment with Versamark ink and then I embossed it with white embossingpowder. I have cut the sentiment into a banner shape and then I added faux stitching with a white gelpen.